Griffith Williams was born on July 10, 1920, in Chicago, Illinois. He enlisted in the Aviation Cadet Program of the U.S. Army Air Corps on November 25, 1940, and was commissioned a 2d Lt and awarded his pilot wings at Brooks Field, Texas, on July 12, 1941. His first assignment was as a B-18 Bolo and B-25 Mitchell pilot with the 89th Reconnaissance Squadron of the 17th Bomb Group at Pendleton Army Air Field, Oregon, from August 1941 until he was selected for the Doolittle Mission in February 1942. Lt Williams was the co-pilot aboard the 15th B-25 to take off from the aircraft carrier USS Hornet (CV-8) on April 18, 1942, and after bombing its assigned targets in Kobe, Japan, the crew ditched their aircraft in the water off the coast of China. He returned to the United States in June 1942, and then completed public relations duties from July to August 1942. 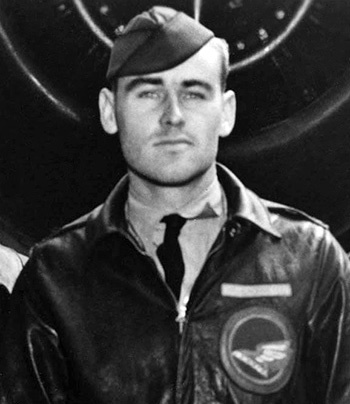 Capt Williams next attended B-26 Marauder Combat Crew Training from August to October 1942, followed by service as a B-26 pilot with the 440th Bomb Squadron of the 319th Bomb Group in North Africa from October 1942 until he was shot down and taken as a Prisoner of War on July 4, 1943. He was held in Stalag Luft 3 in Sagan-Silesia, Bavaria, and at Nuremburg-Langwasser before being repatriated by the U.S. 1st Army on April 29, 1945. After recuperating from his captivity, Maj Williams attended B-25 returnee training at Enid Army Air Field, Oklahoma, and then left active duty on March 15, 1946. 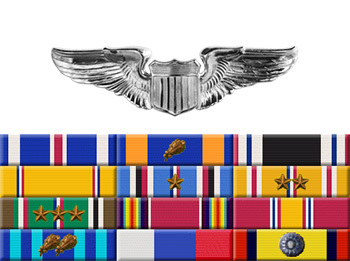 He returned to active duty with the U.S. Air Force on July 18, 1948, and then served as an Air Force-Civil Air Patrol Liaison Officer with the Maine Wing of Civil Air Patrol from July 1948 until he was medically retired from the Air Force on February 1, 1952. Griffith Williams died on August 14, 1998, and was buried at Fort Rosecrans National Cemetery in San Diego, California. For extraordinary achievement while participating in a highly destructive raid on the Japanese mainland on April 18, 1942. Lieutenant Williams volunteered for this mission knowing full well that the chances of survival were extremely remote, and executed his part in it with great skill and daring. This achievement reflects high credit on Lieutenant Williams and the military service. 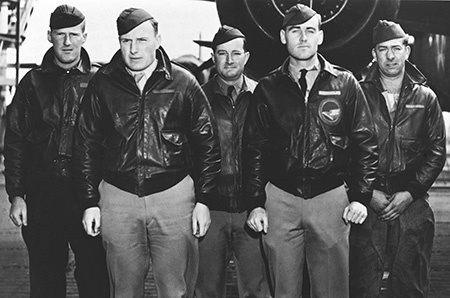 Crew 15 of the Doolittle Raiders, left to right-Lt. Howard A. Sessler, Lt. Donald G. Smith, Lt. Thomas R. White, Lt. Griffith P. Williams, Sgt. Edward J. Saylor.